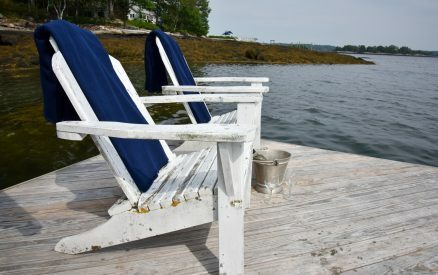 Water’s Edge is a charming Maine cottage situated on the edge of Linekin Bay, and we do mean the edge… just steps from your front porch to a private beach with spectacular views of Linekin Bay and the Atlantic Ocean. 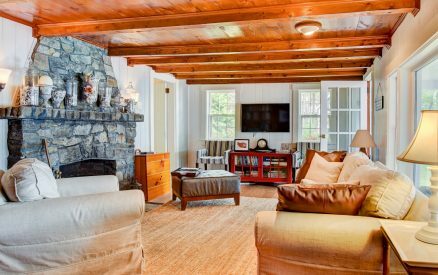 The 1.5-acre property is the last home on a private lane at the tip of a small peninsula, and has a secluded yard surrounded by beautiful woods. 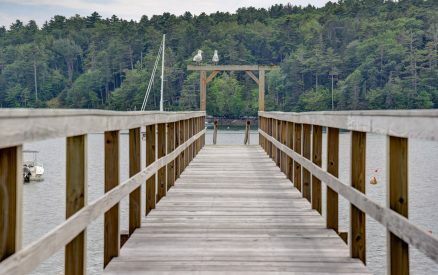 The property has a unique stonewall with steps leading down to the water and a NEW 95-foot dock and mooring. 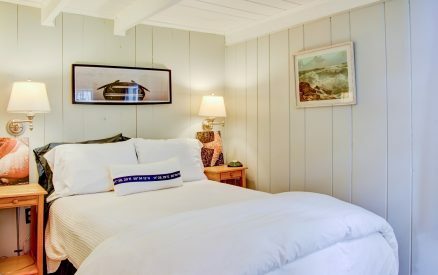 The two-bedroom home has a master bedroom with a queen bed, flat screen TV and commanding water views from the bed. 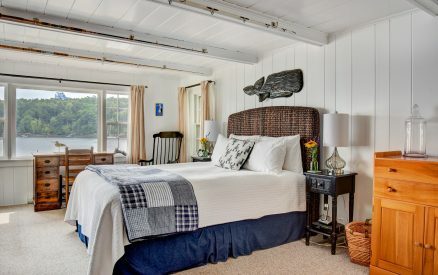 It also has a second bedroom with a full bed, a living room with a stone fireplace (candles only) and flat screen TV, a well-equipped cottage kitchen with a separate dining room and a newly completed screened-in porch overlooking Linekin Bay. 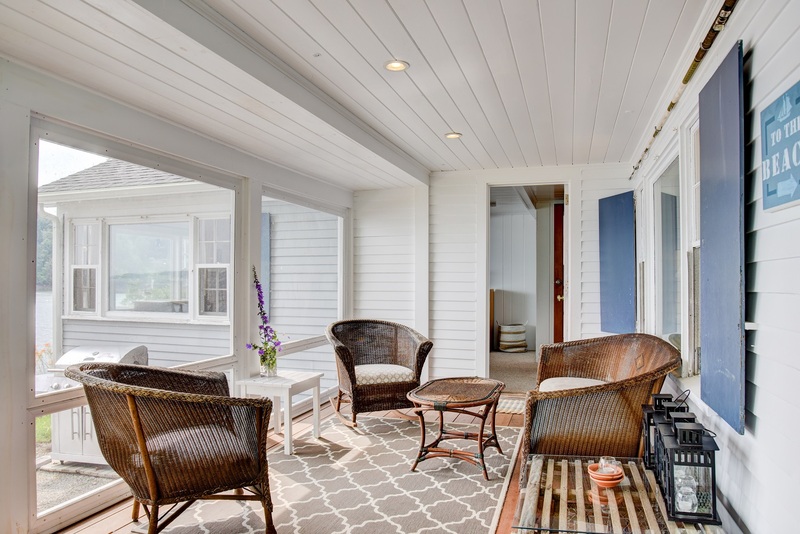 There is an outdoor dining area with a six-burner grill. The home is decorated and furnished in traditional, yet updated, Maine coast cottage style. 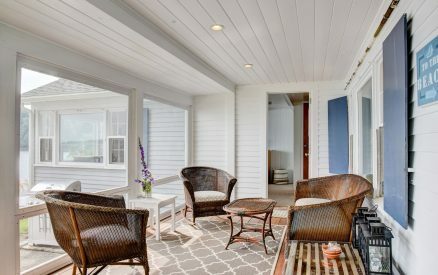 Nearby Linekin Bay Resort has an outdoor deck bar & restaurant with great food and beverages, a heated swimming pool and more. 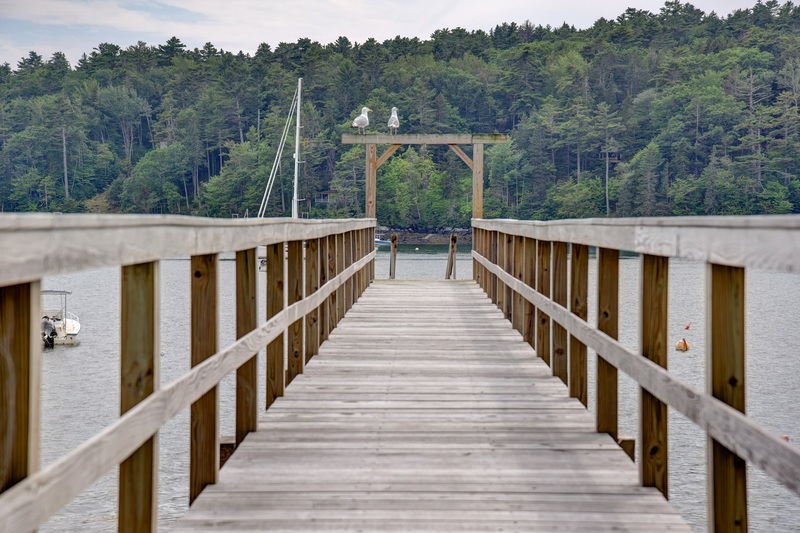 Guests of the cottage are welcome to Topside Inn’s concierge services to help with restaurant reservations and more to help you plan a perfect Boothbay Harbor vacation. 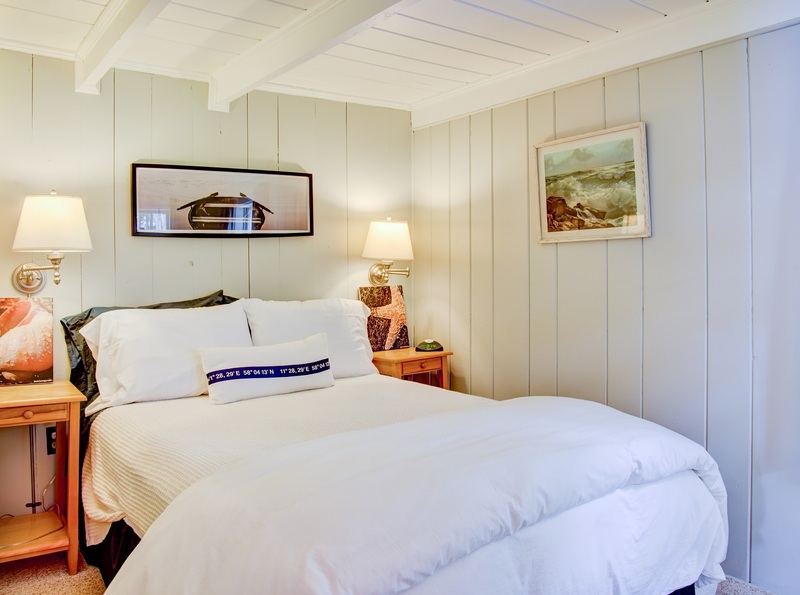 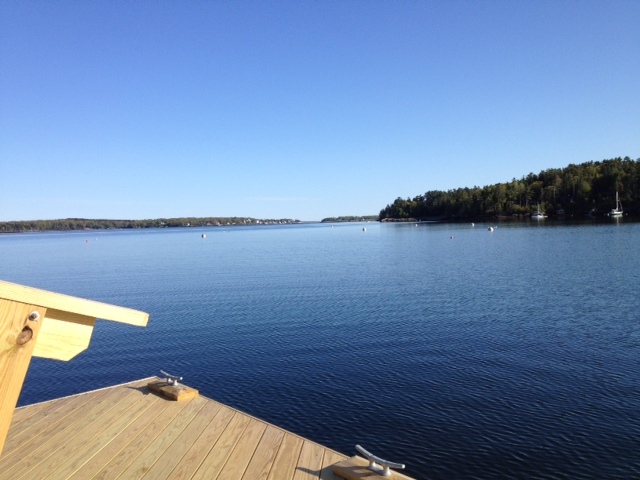 Water’s Edge cottage is a five-minute drive from downtown and from Topside Inn. 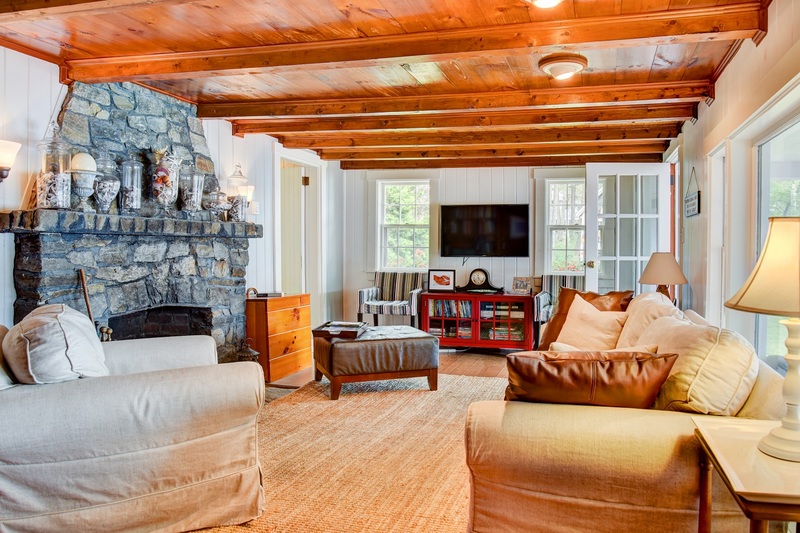 Children of all ages and dogs (with approval) are welcome. 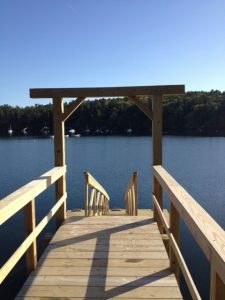 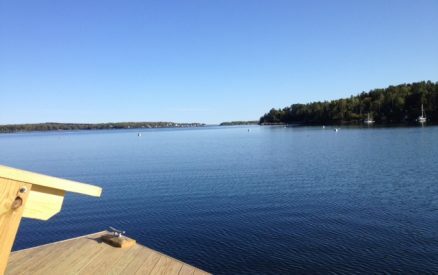 The cottage is available from early May to mid-October and is typically rented by the week, Saturday to Saturday, with possible exceptions in the spring or fall. 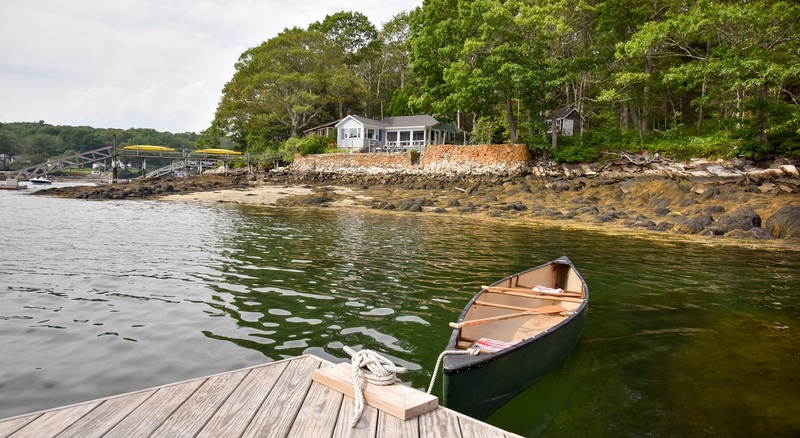 Please call us at 207-633-5404 to make a reservation as this property may not be reserved online.